We all have mirrors in our homes; today’s blog is about positioning mirrors in creative ways to open up your space. 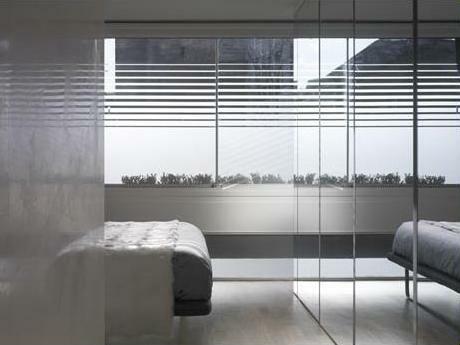 Mirrors help create space by reflecting light making an area appear brighter and airier, giving the illusion of space. The key to harnessing the power of light is in the positioning of mirrors. In an article about decorating in the Hisdustan Times, Furniture designer Urvashi Kaur gives some interesting tips for using mirrors. “Put mirrors on coffee tables and pillars instead of just hanging them on walls to create the illusion of extra space.” Mirrors can be installed on the fronts of furniture, (like free standing mirror wardrobes) to help create depth in a room. If mirrored furniture is not your thing, you can use freestanding mirrors to create a similar affect. Placing a mirror opposite a window or other source of natural light allows the mirror to reflect the light out into the space. This is a great way to keep moveable furniture organized—it has a purpose in its space and therefore a permanent space. Hanging mirrors also are a great illusion maker. Like other kinds of mirrors they can be strategically placed to reflect light but they have an added advantage. A hanging mirror can be placed over an end table with a lamp—creating a light source that will be reflected into the room. When decorating with mirrors, be mindful of your personal style. If you are more modern, choose a mirror with sleek, straight edges. But do not be afraid of mirrors with beveled or fluted edges as these can add a nice, simple twist. Traditionalists can find beautiful antique style mirrors. If your style is somewhere in between, consider a mirror with an interesting frame or shape. As always, let me know if these tips are helpful or if you have a tip to share!! This entry was posted in Storage and tagged decorating, freestanding mirror, standing mirror, storage. Bookmark the permalink. Many thanks for spending some time to describe the terminology to the novices! I’m glad you found this article helpful. Is there any other terminology or decorating tips you would like to read about on this blog? Wonderful items from you, man. I’ve take into accout your stuff prior too and you’re simply too magnificent. I really like what you have obtained right here, certainly like what you’re saying and the best way in which you assert it. You are making it entertaining and you continue to care for to keep it sensible. I can’t wait to learn far more from you. That is really a great web site. Fantastic web site. A lot of helpful info here. I am sending it to some pals ans additionally sharing in delicious. And obviously, thank you for your effort! Thanks , I’ve recently been searching for information approximately this subject for ages and yours is the greatest I’ve discovered till now. This is way better than a brick and mortar etsbalishment. I’ve been exploring for a bit for any high quality articles or weblog posts on this sort of area . Exploring in Yahoo I ultimately stumbled upon this web site. Reading this info So I am satisfied to show that I have a very good feeling I found out exactly what I needed. I most certainly will make certain to not omit this site and give it a look regularly. This is the first time I frequented your website page and so far I am surprised with the research you made to create this actual publish incredible. Fantastic job! I need to say, youve got one with the greatest blogs Ive noticed in a long time. What I wouldnt give to be able to create a weblog thats as fascinating as this. I guess Ill just need to maintain reading yours and hope that one day I can write on a topic with as much understanding as youve got on this one! Great article! This could not have been more helpful! If you wrote an atrilce about life we’d all reach enlightenment. Nice post. Its really good. I really do accept all the suggestions you have presented inside your article. They’re really convincing and will surely work. Still, the posts are too short for novices. Could you make sure you extend them a little from next occasion? Thanks a lot for the write-up. We are a bunch of volunteers and starting a brand new scheme in our community. Your site offered us with useful information to build on. You have done an impressive job. our entire group will be thankful to you. Some truly nice and utilitarian information on this website. The layout has fantastic features. I’m still learning from you. I definitely love reading all that is posted on your website.Keep the information coming. I liked it! I like this blog very much, Its a really nice post to read and obtain information. I ran into this page on accident, it is a excellent website. The internet website owner does an admirable job, the site is truly insightful. You just secured a guarenteed reader.